The statement comes as Ottawa readies a plan to allow people to apply for a pardon for minor pot-related convictions. A person with a criminal history typically seeks a pardon to make it easier to rent an apartment, apply for a mortgage, get a job or volunteer, or cross the Canada-U.S. border. Federal Liberal cabinet ministers are expected to unveil details of the pardon plan tomorrow — Oct. 17 — when cannabis for recreational purposes becomes officially legal in Canada. "Really, we don't recognize the Canadian amnesty. 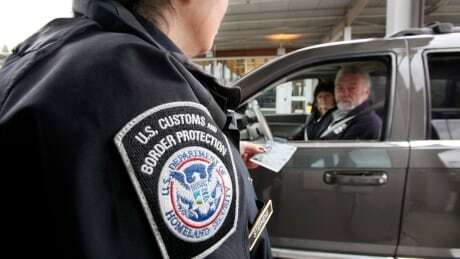 If you've been the subject of a violation of U.S. laws, that will still make you inadmissible to our country," Todd Owen, the assistant commissioner of field operations at U.S. Customs and Border Protection (CBP), said in a teleconference with reporters Tuesday. Owen said it doesn't matter whether someone has received a Canadian pardon — just admitting to having consumed the drug in the past is grounds to be barred from the U.S.
Owen did not make it clear how CBP would deal with someone who has sought, and received, a record suspension — a pardon — from the Canadian federal government, as a pardon usually ensures an individual's criminal past is removed from the CPIC database. Owen also sought to clarify the agency's position on a Canadian who is an owner of, or an investor in, a cannabis-related business.